Have you ever wondered why there are so many churches in Borger, or anywhere for that matter? Yeah, me too! At least I used to wonder why, now I have a good idea why there are different churches. I will share with you my observations about Christian Churches. We are at liberty to do anything not specifically forbidden. If The Bible says nothing about a subject, then we have permission to do it. Speak and do only what the Bible teaches. 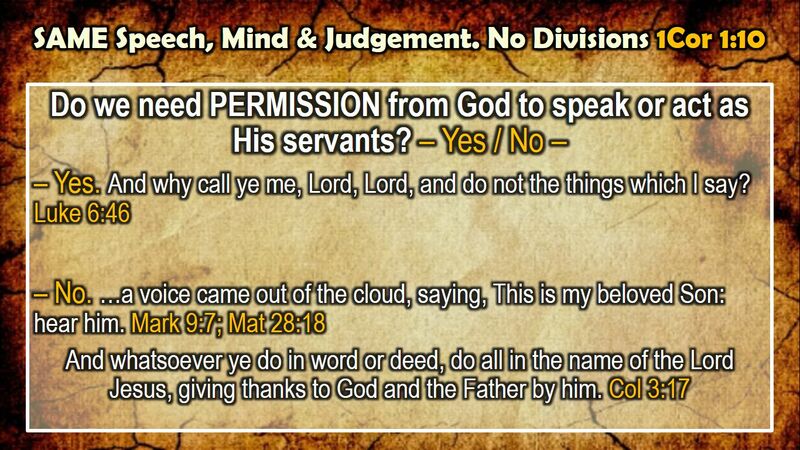 This principle finds it’s authority in (1Pe 4:11 If anyone speaks, let him speak as the oracles of God.) This verse basically means, If anyone has anything to say, let it be as the words of God. Speak where the Bible speaks and silence where the Bible is silent. You may have thought that the difference would be about works and grace. However, in order to understand works and grace you must first decide how you’re going to study the Bible. Will you do only what the Bible says, or because it is a living breathing, changing document we can do what we feel is right? When choosing a church, one must first decide how they will treat the Bible, a God breathed document that has all authority for our lives, or a guide book that contains helpful wisdom. You may not notice much difference between these statements, but it becomes extremely clear as you begin to talk about salvation, church organization, political activities, church leadership, sin or a myriad of other topics that distinguish the denominations. Let me leave you with this quote by Horace W. Busby……..